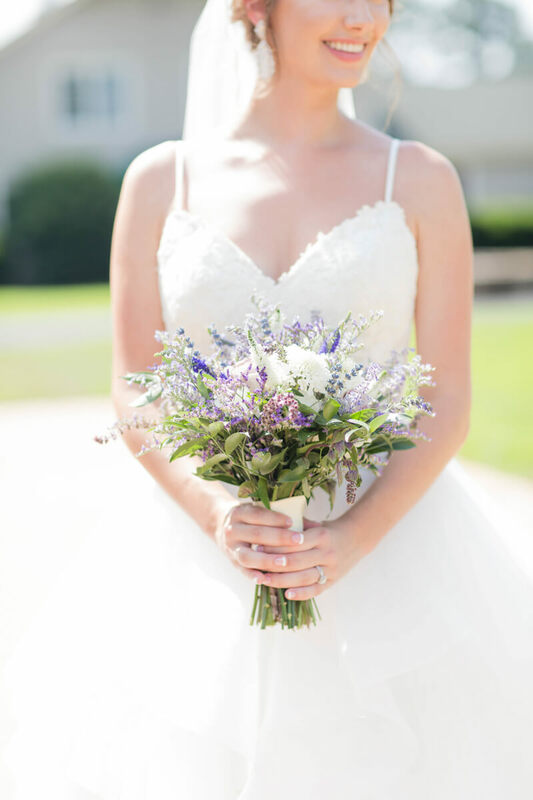 Wake Forest Barn Wedding - North Carolina. These two are true high school sweethearts! They have been going to school together through elementary school, middle school, high school, and college! Chad asked Emily to prom their junior year of high school and the rest was history between these two! Their wedding was held at The Historic Wakefield Barn in Wake Forest, NC. 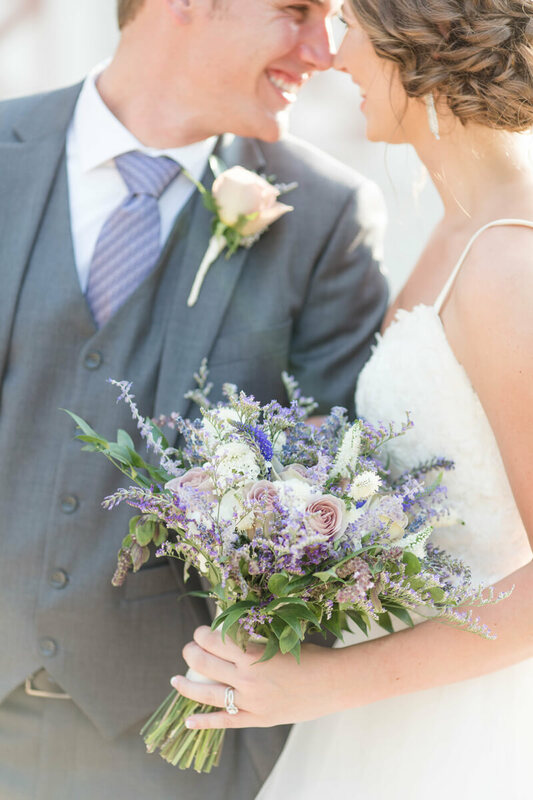 It was the perfect combination of rustic and classic. The all white inside of the barn was the perfect backdrop for the day. This day was the epitome of rustic elegance! The ladies wore different shades of purple, while the guys sported grey suits. One of my favorite southern details of Emily's were her Kendra Scott earrings. They were the perfect accessory! All of Emily and Chad's family and friends gathered in the barn for the ceremony. They stood under an arch full of lush greens, which was gorgeous! 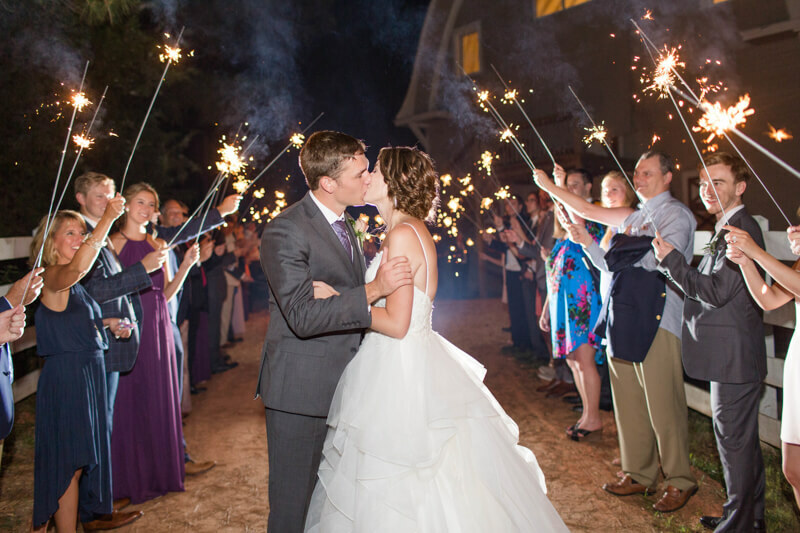 These high school sweet hearts danced the night away, enjoying every second of their wedding day!